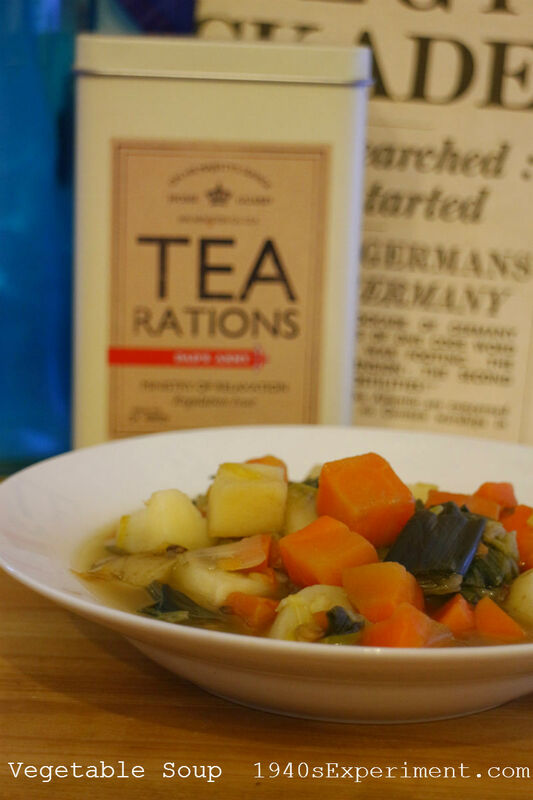 Here’s a pretty standard quick wartime recipe for vegetable soup. I’m all for making dinners cheaply but sometimes you have to take a short cut now and again, especially if your life is busy. 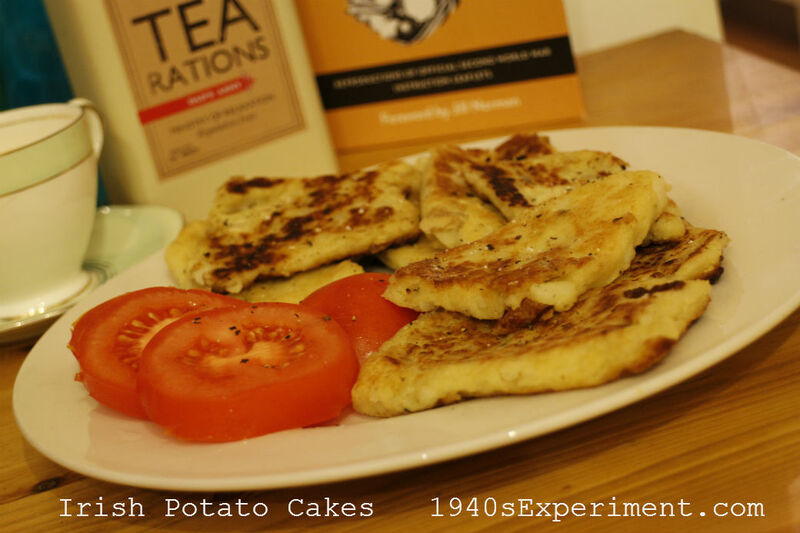 Not strictly in the spirit of the 1940s but it’s still the same food! In this case, when I was doing shopping in Aldi’s and saw a large packet of fresh chopped mixed veg for soup. At only 99p I thought why not. 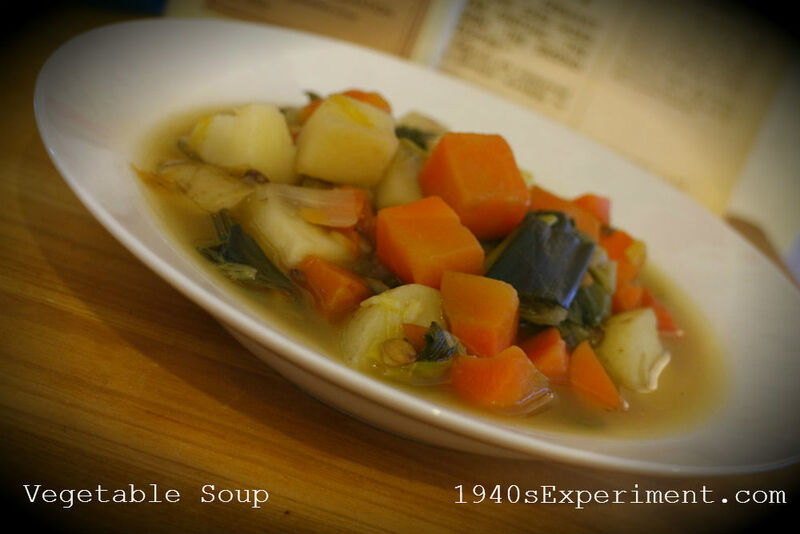 The veggies inside the pack were fresh leeks, carrots & turnips. To this I added a couple of fresh chopped potatoes and a couple of tablespoons of dried lentils and cooked the veg in a seasoned vegetable stock. It made a thin and pleasant soup, enough for 4 large bowls and all I added in addition was some extra salt and pepper. All this for about 35p a bowl and less than 200 calories! Just to make things EVEN better, the company that I work for PMS DIECASTING, LASER SCANNING, REVERSE ENGINEERING 3D & GO TOOLS, is wonderfully forward thinking, much like the newspaper I worked for in Canada. My job is as a ‘Digital Media Coordinator’ and part of my role is creating & maintaining social media streams as well as updating websites. My employer has given me the go ahead to run with a ‘workplace wellness’ page on Facebook. PMS Diecasting already supports its employees in a number of ways so I think this in addition is a wonderful thing. You know me, loving food and recipes and always trying to get inspiration from others, I’d like to build a social community where people can share healthy recipes, encourage their employers to support workplace wellness, share their steps towards taking control of their health, being brave to take the first step…. become a ‘Health Hero’. So we’ve called the page ‘Health Heroes 2015’… It will hopefully go live in a few days, at the moment I am busy adding recipes and content when I get a spare half hour in between other responsibilities here at work. So I NEED your help… I wondered if you would be so kind as to sign up for ‘Health Heroes 2015’ by liking the page I have created? Look forward to seeing you there and thank you!!! I did have a large lettuce sandwich for dinner later but felt restless and hungry this evening, so decided cooking some ‘Irish Potato Pancakes’ would help so as I type this up I’ve enjoyed some for supper! Drain and mix the potato, salt, pepper, margarine and enough flour to make a stiff dough. So I was looking on the internet for some sort of dance/fun workout to try and get moving in addition to trying to walk a little more. I tried a bit of beginners Zumba, beginners Hip Hop, in fact quite a few beginners workouts but nothing took my fancy after attempting each one for several minutes and looking rather ridiculous. And then I saw these guys and gals funking it up a bit and loved it!! Even this 310 lb (hopefully less when I weigh in on Tuesday) frame can at least attempt the simple one! Oh yes, Charleston Stroll 1940s workout!! I was just reminded on my 1940s EXPERIMENT TWITTER about ‘Supersizers Go Wartime’ and then I realized I had indeed watched the series in 2012 and thought it was rather FUN! So I’m just posting the videos again incase you missed it or haven’t watched them in a while like me! Once all my daily chores are done I think this will be an evenings viewing tonight! 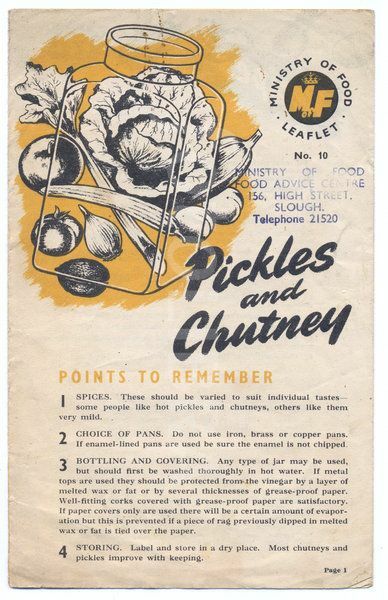 I’ve been collecting old Ministry of Food WWII pamphlets on Pinterest. Anytime I find a new one I pin it. Thought you might be interested! Wish I had a collection of real ones but this is the next best thing! 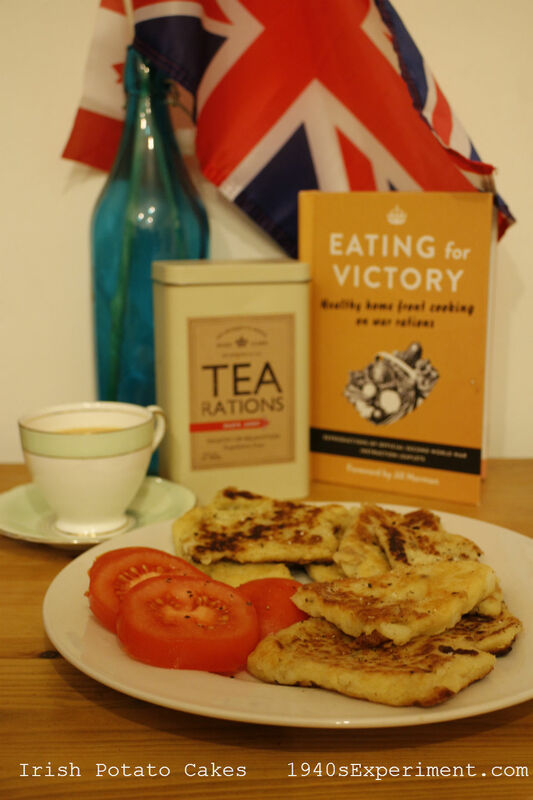 I’ve updated the index page for all the wartime recipes I’ve created in my blog. Sorry it’s been a while coming but I’m trying to keep myself busy so I don’t snack! I’ve been home for two hours. Caught up with my children, cooked another stew, ate two plates of stew while watching some weight loss stories on YouTube (as you do when you need motivation) and now updating my blog. It’s 8 pm and I think I’ll be in bed and asleep by 8:30.